The Ronez businesses provide a comprehensive range of building materials and services across the Islands. Both sites are designed with a logical layout so collections are made easy, customers won’t spend any longer on site than required. Alternatively, through our contracted range of delivery vehicles, as well as our own Hiab, Ronez can deliver to you promptly. Ronez deliver with care and attention on vehicles equipped for the task, whatever the load, whatever the access, we will work hard to get your order on site and on-time. All Loading Tickets are issued from the Weighbridge Office and must be obtained prior to loading. If you require products outside these hours, please contact us. 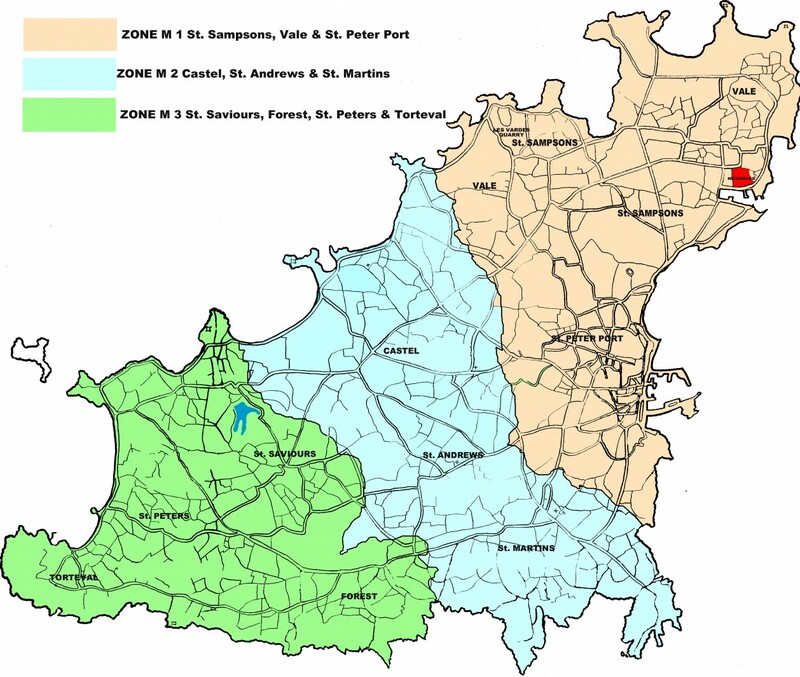 Deliveries in Jersey can be made during opening times and by arrangement. 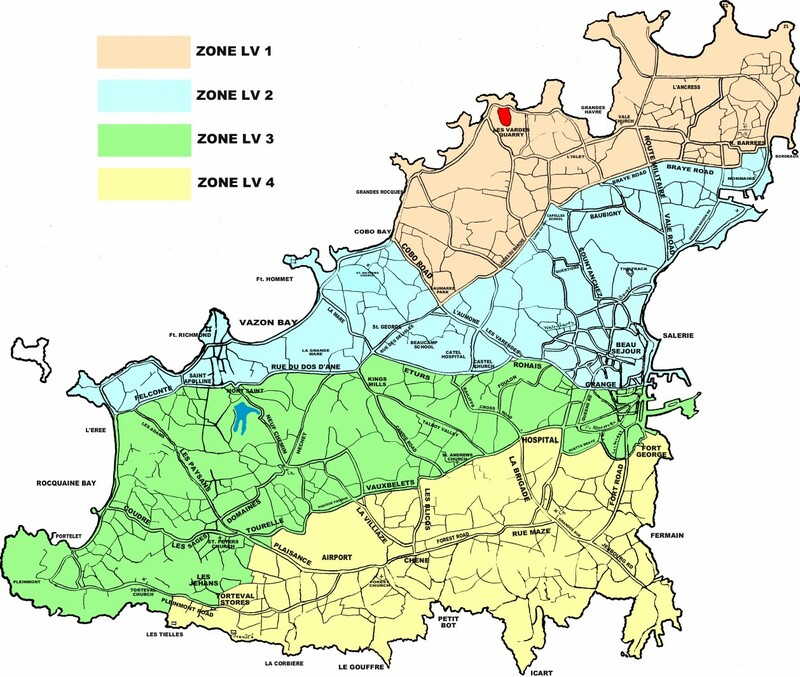 Guernsey have zones as detailed below. Normal concrete weighs approximately 2.45 tonnes per cubic metre and should be placed as near as possible to its final position. Excess handling can cause segregation of the aggregates. Similarly, wetting up the concrete so it can be raked or pushed into a location is not recommended. When concrete is delivered in a mixer truck, it is either poured directly from the chute or pumped into place with a concrete pump. Pumping is a very efficient and reliable means of placing concrete and is sometimes the only way to deliver it into a certain location, such as high buildings or areas that are not accessible by a mixer truck. Ronez offer a pumping service with boom pumps ranging in reach to 32 metres.